There are two ways you can sell your classic car. Either for cash or our Easy Classic Car Consignment method. Dennis Buys Cars has invented a simple and effective way for you to consign your car to us through which you pay no commission. The no commission part sounds good right? We simple agree on a price ahead of time, put it in writing and pay you that amount when we sell it for you. We keep anything we get above that agreed upon price. For example; if we agree upon $10,000 and sell it for $11,000, you get the 10K and we get 1K. Our agreement is for thirty days and on the rare occasion that it doesn’t sell within that time can only be one reason and that is price. In that case we can renegotiate again for another thirty days. The advantage of our Easy Classic Car Consignment method for you is that you can net up to another twenty per cent in your pocket because we do not have to lay out any of our cash. Next, cash is the easiest and quickest for you obviously. You call us first, we talk about its condition, drivability etc, we give you and approximate range of what we could pay, then we make an appointment to check out the car. This can be done either by you bringing the car to us or we come to you. The first is to bring it to us if your classic car is in decent running order. It’s actually good advertising to you to do this. 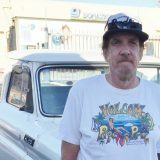 We once bought a 1939 Ford from someone who drove it without any problems from San Diego which is a two hour drive! So in my mind as the prospective buyer, this is an interesting bit of information that I can pass on to a prospective customer to attest to its reliability. So in short, when I see a classic car coming through our back gate, I know this is a road worthy car. Also, some people are more comfortable coming to an established brick like Dennis Buys Cars. We have been in the same location for over fifteen years and are well known and trusted. We are a safe location and a public place of business in a very accessible location. Or, perhaps you just don’t want anyone coming to your home and we understand that. After we check out your car which takes about fifteen minutes we will make you an offer on the spot. If you accept we will pay you in whatever manner you choose to be paid: whether it be cash, company check or cashier’s check. We then get you home in a nice shiny Uber or Lyft car free of charge! Regardless of the method that you choose to sell your classic car, whether it be cash or our Easy Classic Car Consignment, we will release you liability on the spot and handle all DMV paperwork. Be sure to check out our classic cars for sale! Also we love motorcycles! We will buy your motorcycle quick and easy with no hassle. Check out our videos from other folks who have sold us their vehicles. You will love our yelp reviews. There are special concerns if you are a woman selling your car. You certainly don’t want people you don’t know knocking on your door. You especially don’t want to have your cel phone out there, not to mention being stuck in your own car with a stranger on a test drive. We will make it safe, easy and pay the highest price. 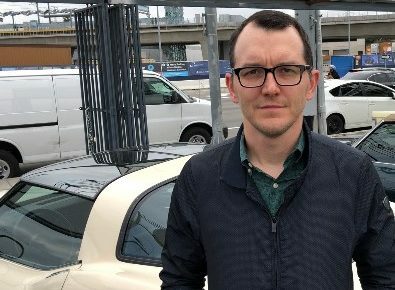 Dennis Goddard: Ryan, tell us about this car that you sold to us. Ryan: This is my 1980 Corvette. It was time to pass it on to somebody else, so I came over to Dennis and he made it really easy to take it off my hands and find a new buyer. Dennis: Great, thank you. Relative to your family and the history of this car, it has a interesting ownership history regarding its low miles. Tell us about that. Ryan: My uncle own it for many years, since the early 80’s . He keep it a very low mileage and I bought it from him 10 years ago, barely drove it, so the thing is practically brand new. All factory, its a beautiful car and I’m going to miss it terribly. Dennis: The car is been in your family since it was new? Ryan: It was 2 years old when my uncle bought it. So its been in my family now for 36 years. Dennis: Wow! We were talking earlier it has very little miles. How many miles does the car have on it? Dennis: Nice! OK, so tell us how we did this. First we took it on consignment correct? 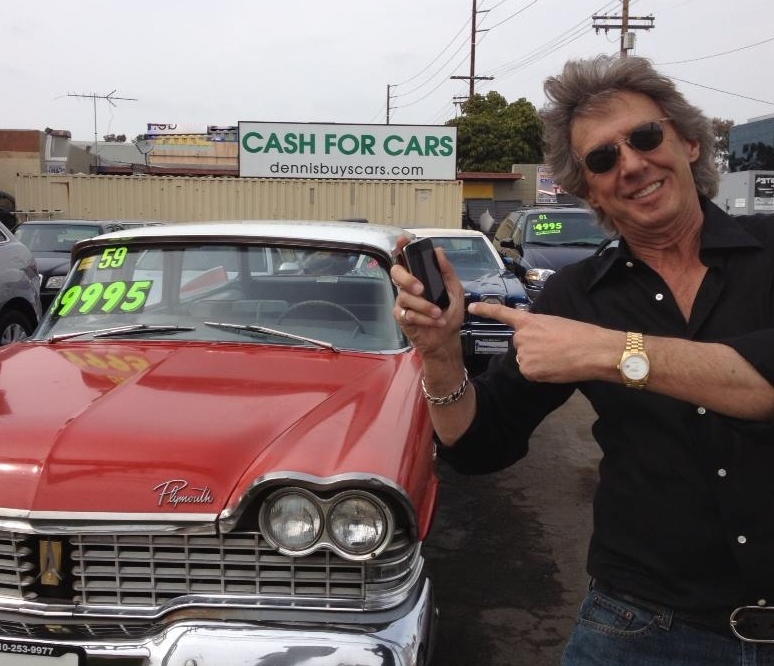 Dennis: Give us a overview of how the Easy Classic Car Consignment method worked. Ryan: Dennis was very agreeable in terms of the consignment. We agreed on the price that I want it to receive from it and then a week later he found a buyer, I agreed to the terms and here we are. Dennis: We agreed upon a price, rather then doing a percentage. So, we agreed upon a price ahead of time and then we sold it you came down to pick up the agreement price. Ryan: Right! That’s exactly right. Dennis: Tell us why did you decide it to sell your car to a dealer as oppose to selling it privately. Ryan: I decided to sell to Dennis because I didn’t want to deal with the hassle of people coming over to my house, sending mechanics. Is that my car? Anyway, sorry, ah……I lost my train of thought!! Dennis: No damage done, we didn’t hit your car, is not going to cost you any more money before you leave. Ryan: So yes, super easy. I didn’t want to deal with the mechanics, just people of the street looking to buy my car, they want to test drive, then I have to make myself available on the weekends. I wanted the easy convenience of coming some place, getting a respectful price for it and not having to deal with the common buyer. Dennis: Exactly! How did you find Dennis at Dennis Buys Cars? Ryan: I drive by everyday from home to work. Dennis: Driving by?! So you know us from our location. Ryan: Yes, and I saw all the beautiful cars out front. Dennis: Great!! What was the best part of this transaction today. Ryan: I’ll walk home with cash in my pocket. Ryan: Oh, I put it in my car already. Dennis: OK. Ryan: I feel uncomfortable holding it. Dennis: Than we’ll stop you on the way out. Just kidding. Thank you Ryan.